TORONTO, June 4, 2012 /CNW/ – Websites of more than 500 Canadian organizations and businesses will be blacked out today, and tens of thousands of individuals are expected to send messages to party leaders in defense of nature and democracy via email and social media, as part of the nationwide Black Out Speak Out/Silence, On Parle campaign. Black Out Speak Out was a big success in that it drew a lot of media attention. The government gave their typical response but they noticed and that was the main point. Can Black Out Speak Out become a catalyst for opposition that will cause Harper and co. to change bill C-38? Only if they see enough grassroots support. Show support for Black Out Speak Out by waving a black flag at public events. Now is the summer of our discontent. Sorry Shakespeare. Many people like to wave our National Flag at parades, sports events, community days etc. A public display of disapproval will go much further than groups which Harper and his neo-Conmen consider anti-Canadian radicals anyway. 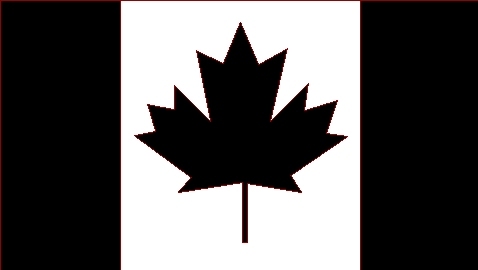 Sales of a Black Maple Leaf could be used to help fund TV ads which would bring much attention and response. This bill needs to be amended.